How will you put the power of Web 2.0 to work for you? Learn how to drive potential clients to your site and improve your online marketing skills through blogging. Client appreciation events done right are one of the most effective ways to cement your client base to you for life. Learn what client appreciation events work and which ones will always be poorly attended and how to execute an exciting and memorable event. Hear about real live events that were organized and planned by Denise and her team and hear the amazing results. Learn what to do before, during and after the event to keep new business coming your way. Don't even think about planning another event without hearing this CD first! Most Real Estate agents that need an assistant don't get one because they are worried about training them. Perhaps you are too busy to train an assistant or just worry that you wouldn't know what to do with one if you had one. Learn how to find the perfect assistant for your personality type and business style and learn how easy it is to keep them busy with task oriented duties. Learn to leverage your time and multiply your income using an assistant. A business plan without a specific set of action steps is nothing more than an exercise in goal planning. A successful business plan will be the blueprint for your business's success. Learn to create a plan that will get you the results you need and learn the exact steps you must take to get EXACTLY where you want to go. When I ask real estate agents to show me what services they offer for buyers they usually look at me with a blank stare. They then usually say that they don't have a specific written plan or package for buyers. If this is you then you MUST get this audio course. Today's buyers want to know what you do that is different from everyone else. You need to know how to showcase your services and how to show on paper exactly what you have to offer. 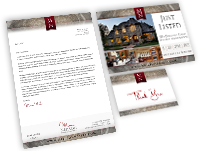 Buyers packages make you look professional and save you time from running around scrambling to gather materials every time you need to send out some information to new buyers. When you are competing for a new client it is imperative that you stand out. Learn how to make your Comparative Market Analysis easier for the potential client to use. Learn to make simple changes to your CMA book that will make you look like an expert that they just cant be without. There are different types of people who require different types of presentations. Learn how to create a CMA book that will impress the most analytical and visual sellers. Never underestimate the power of presentations. When you are out there competing for a listing you need a competitive edge. Most Real Estate agents rely on generic presentation materials rather than customizing their own. Learn the most important things your potential clients want you to show them and tell them. You need to have a package that clearly presents the advantages of working with you! A Sellers Package should pre-sell you before you ever walk in the door. If you are even remotely thinking about getting into Real Estate or just gotten into Real Estate you need this CD! Many people think selling Real Estate is an easy career that simply requires a smile and a good attitude. To be successful in Real Estate you must have a strategic plan and an effective marketing campaign. You also need to make money in the first six months or you are not going to last. Learn how to jump start your career and get on the right track now. This CD will teach you how to handle objections in a way that will have you excited for the next one. Objections are a person's way of getting more information, stalling or getting ready to buy or sell. Learn these differences and you are home free. This CD will go through every possible objection while selling real estate and show you the successful way to handle every one of them. Also included is powerful material on how to negotiate and make situations win-win for everyone. What do you do when a stranger calls and you only have a moment to capture their potential future business. Learn what NOT to say and how to speak so the caller will want to talk to you. Learn how to guide the call - a key to real estate lead generation - and have the caller wanting to hear what else you have to say. Find out the easy way to capture their contact information without sounding like a telemarketer. If you are an office manager, designated manager or owner you have to learn what it is your agents want from you, their leader. Learn to set up an environment that will create successful agents which in turn create a successful and thriving office for you. Learn the system that Denise uses to build offices from nothing special into something spectacular. You will not only hear about these successes you will also be given the exact blue print for duplication. Denise will walk you through a step-by-step plan she guarantees will dramatically improve and enhance your office performance and success. You need to make money NOW, in fact RIGHT NOW!!! You don't have time to take a sales class or even attend a full-day seminar, you need to turn on the money faucet YESTERDAY! Learn how to take the type of action that is required to jumpstart your business FAST. This is not the time to build the perfect business, it is the time to go hunting. If you hate prospecting but need a jumpstart you've come to the right place. Most Real Estate Agents spin their wheels day-to-day rushing around taking care of the most urgent need placed in front of them at that time. Learn how to run your entire business using task management not time management. The nature of Real Estate makes time management impossible. The nature of the typical Real Estate agent makes task management a perfect solution for the type of business they are in. You will be given task management ideas and a systems that will completely revolutionize the way you do business. Most real estate agents don't have well-prepared listing presentations. This is the most important tool to master in a world with more agents than ever competing for the business. Agents who get the business do come prepared with knowledge of the market, a proper introduction of who they are, and an awareness of what the client wants and needs and how they can meet those needs. Don't wait for the client to ask the questions, show them what you have that will work for them. Give them ideas and show them who the expert is. Be visual and use visual representations to help clients to better grasp what you are saying to them. Follow an agenda and let them know how you will use pricing as the centerpiece and communication, marketing, going beyond decluttering to staging and other tools to get them the best results. Create a memorable experience for your buyers and sellers and keep them coming back for more! Learn what your real estate clients want from their agent during this critical time. What are the key things you need to add to your real estate agent website? What are your clients looking for on the web? How will your clients find you on the World Wide Web? Learn these things and more with this audio CD.